D.S. Roberts; C.H. Stanley; James Thompson; G. Hammond; T. Loyd; C.D. Mead; H.P. Montgomery; F. Perrin; N. Marache; and W.J.A. Fuller. - D. S. Roberts is Daniel S. Roberts of the Mechanic's Institute Chess club in San Francisco. In 1856, he was president of the Brooklyn Chess Club but moved to California just prior to the 1857 Congress. - T. Loyd is Thomas Loyd, brother of Sam and Issac Loyd, all chess problemists. William James Appleton Fuller was born at Boston, April 8th, 1822. After spending some time at Harvard College, he paid a brief visit to Europe. He commenced playing chess at sixteen; and enjoyed the instruction of Mr. Hammond, who, with Dr. Oliver, used to play with him at odds. A checkered life gave him but few opportunities to cultivate the game. Among his numerous adventures, we are told that "he has hunted whales in the Polar seas - swam for a wager, and most unexpectedly for life, at Niagara Falls and among the amphibious Fayaways of the tropics - taught school and edited newspapers in the Far West - lost his way and everything else but his life, in crossing the wilderness on his route to California - doubled every cape and horn on the globe - and last, not least, drunk champagne with M. Godard while high up in a balloon." 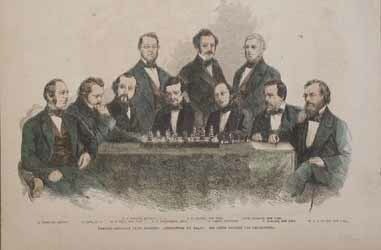 Although he taught chess while on a whaling voyage to the officers of the ship, and encountered in Cuba the magnates of the ever-loyal isle, he did not resume regular practice of the game until he settled in New York in 1854. Then he entered the Club, and in the following year took charge of a Chess department in Frank Leslies Illustrated Newspaper, where he displayed high literary as well as powerful Chess abilities. He was chiefly instrumental in giving accelerated impulse to the outward march of the game, and his brilliant, humorous, and instructive column aroused an enthusiasm for our sport, which had never before been experienced by the public of this country. Mr. Fuller is now (1859) engaged in the successful practice of the law, in New York, and is an Honorary Member of the New York Club. A similar biography, written by Max Lange, can be read here. Fuller was a law partner with Leon Abbett and had offices located at 229 Broadway, New York and at 250 Washington Street & 16 Sussex Place, Jersey City. Fuller's wife was 5 years younger than he. I don't know her name. They had 3 daughters: Kate, born in 1851; Josie, born in 1853; and Daisy, born in 1855. The only games of W. J. A. Fuller readily available are those he played against Meek which were listed in the Book of the 1st American Chess Congress. Play through them below or download the pgn here. When Morphy was writing his chess column for the New York Ledger, he refused to answer any correspondence associated with that journalistic endeavor. Bonner hired Fuller to answer Morphy's mail, consulting with Morphy only when dealing with important issues. Morphy was then [in 1857] 21 years of age [actually he wasn't but 20]. His personal appearance did not indicate genius. He was small of stature, of light build, with a dark, black eye, pleasing manner, great urbanity and a perfect Frenchman in politeness. He was well educated, having graduated from college and the study of law, but his intellect was not of a very high order. Poeta nascitur, non fit. So it was with Morphy. He was a born chess-player. He was not made one by study and practice. Deschapelles was the only chess-player in history who was like Morphy in this respect.... Both he and Morphy played by intuition - rather than by analysis. Chess, like every other science, is progressive. Had either of these players crossed lances with Zukertort or Steinitz, the world would doubtless have seen better chess play than has been recorded.... Steinitz confirmed me in my opinion that Morphy played some of his best moves by intuition, as it was impossible that human brain could have thoroughly analyzed the result. Accordingly he engaged Morphy to edit his chess column for a year. The negotiation was made through me. 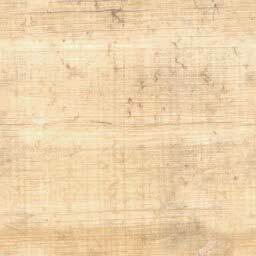 Mr. Bonner paid him in advance, with his usual unparalleled liberality, and for one year the Ledger had a chess column. Morphy was incorrigibly lazy and Mr. Bonner would not continue his services at any price for another year. Moreover, his readers were not particularly interested in chess. ....There were some things connected with this chess column that were curious, and would greatly interest chess-players, but it would be contrary to the lex plumae to reveal them without Mr. Bonner's consent.